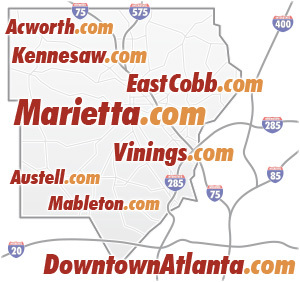 Hotels near East Cobb are found near the interstates of I-75, I-575, and I-285. 1175 Powers Ferry Pl S.E. Though not as close to East Cobb as the hotels located along the interstates, this Bed & Breakfast hotel offers a rare glimpse at old-time elegance in an 1800’s mansion located near historic Marietta Square.